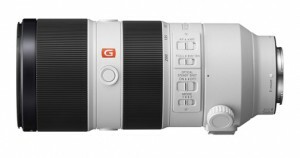 New models include 24–70mm f/2.8 zoom, 85mm f/1.4 prime and 70–200mm f/2.8 telephoto zoom. 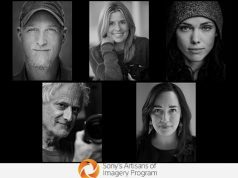 San Diego, CA—Sony Electronics launched a new flagship E-mount interchangeable lens line—G Master (GM) lenses. 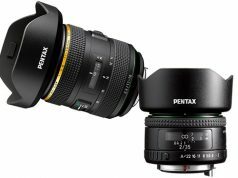 The brand includes three full-frame lenses: a 24–70mm constant f/2.8 standard zoom, an 85mm f/1.4 prime and a 70–200mm constant f/2.8 telephoto zoom. 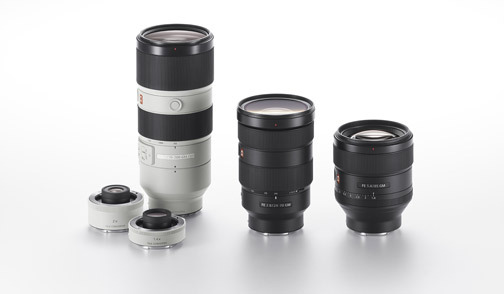 The lenses feature Sony’s latest optical element technology, design and calibration to produce still images and video with detail, high resolution and artistic bokeh. This standard zoom lens (model SEL2470GM) is geared for portrait, travel and event photography or even everyday shooting. 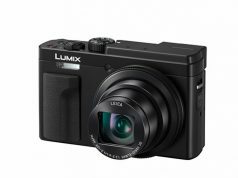 It is built with three aspherical elements, including an extremely precise XA (extreme aspherical) element developed to reduce aberration and deliver high resolution throughout the zoom and aperture ranges, as well as from corner to corner. An ED (extra-low dispersion) glass element and super ED glass element also help minimize chromatic aberration while maximizing bokeh. 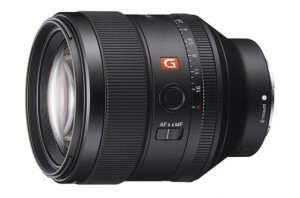 The compact, dust- and moisture-resistant lens also features: a 9-bladed aperture said to maintain a near-circular shape at all settings and coated with Sony’s Nano AR coating to suppress reflections; a direct drive SSM (supersonic wave motor) focusing system that positions the lens elements quickly and quietly for shooting stills and movies; an AF/MF switch; and focus hold, zoom lock and hood release buttons. Sony announced two matching filters for the FE 24–70mm f/2.8 GM—the VF-82MP MC protector and VF-82CPAM circular PL filter. The lens will be available in March for $2,200. 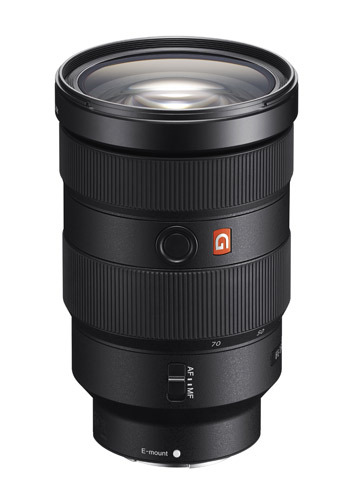 This telephoto prime lens (SEL85F14GM ) is designed as the “ultimate portrait lens.” It employs an XA (extreme aspherical) element and three ED glass elements that work to ensure the in-focus areas are captured in high resolution while the surrounding out-of-focus areas dissolve smoothly into a soft backdrop. 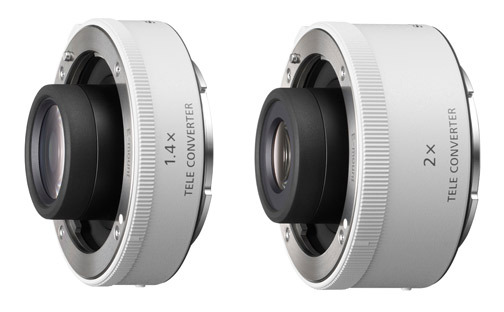 It has a circular aperture with 11 blades—the most in an α lens—to provide visually pleasing bokeh. Also due out in March, the lens features: Nano AR coating, to reduce flare and ghosting, even with backlit subjects; a ring drive SSM motor that provides power to drive the lens’s large, heavy focus group; dust- and moisture-resistant construction; an aperture ring with on/off switchable click stops that can be adjusted for shooting still images or movies; an AF/MF switch; and a focus hold button. $1,800. Covering the frequently used 70–200mm focal range, the telephoto zoom lens (SEL70200GM) is engineered to offer high rendering, AF performance and image stabilization. It’s an option for shooting wildlife, sports, weddings and a variety of other events. The flagship telephoto zoom uses three advanced lens elements, including XA, super ED and ED glass components, as well as Nano AR coating. 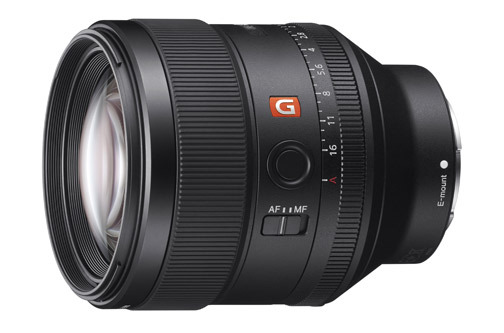 Its floating focusing system—used for the first time in an α zoom lens—contributes to a minimum focusing distance of 0.96m. Other features include: SSM plus dual linear motors that work together to move large lens elements quickly; built in Optical SteadyShot image stabilization; a rotating tripod mount; dust and moisture resistance; a fluorine coating on the front lens; a focus hold button; and a focal range limiter.